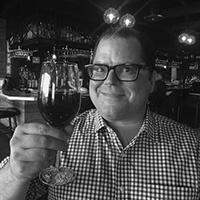 Greg Thilmont is a food and travel writer whose work has been featured in publications including MSN Travel, Desert Companion, Salt Lake Magazine, Las Vegas Life, Las Vegas Magazine, Las Vegas Weekly and Vegas.com. Greg was a fellow at the Knight Digital Media Center’s News Entrepreneur Boot Camp at the University of Southern California for his blog, EatingandDining.com. The first piece of writing Greg was ever paid for was a feature story on bagels for his college newspaper. He received bachelor’s and master’s degrees in English literature from the University of Utah.